Since it has been well over a year since I posted on the blog, I guess there is a lot to catch up on. I feel like this is similar to when you haven't seen someone in over a year and they ask you, "What's new?". Let's see. In the brewing world, I continue to keep my taps full while entering some competitions from time to time. I won a ProAm spot in the 2014 GABF with my Mayan Chocolate Stout (chocolate chili stout), but unfortunately the collaborating brewery dropped the ball and missed deadlines for applications. Therefore, I was not able to get my beer into the festival. No worries, there was other stuff going on. In the midst of remodeling my kitchen and getting a new puppy (don't ask), we had a handsome baby boy in September! Everyone is doing great and he is a funny character. He is now starting to laugh and giggle at us...a very special time. So, I guess that kind of answers , "What's new?". Some of the more interesting beers that I have brewed lately have been a gluten-free blonde, vienna lager, and a great IPA. I think this will be the last time I brew a gluten-free beer :) I brewed my award-winning Blonde recipe (Micah's Blonde) and then added White Labs clarity-ferm (given to me by my gluten-intolerant neighbors) at the beginning of fermentation. I am a very big supporter of White Labs yeast and all of their products, but I'm not sure I'll use Clarity Ferm again. The beer turned out very flat in flavor and extremely light/thin in body...not very nice to drink. I'm not sure what happened here as I have brewed this recipe many times before. Regardless, I think I'll keep the gluten in my beer and offer wine or spirits to those that are gluten-intolerant in the future. On that note, I did make some hard cider as well. this year. Our apple tree in the front of the house had a HUGE crop year and we had more apples than we knew what to do with. With no crusher or press, I smashed the apples with a 2x4 and rung them out in a muslin bag by hand....actaully got 4 gallons this way :) It came out OK and I actually aged it a bit on oak. It tastes closer to a chardonnay now than cider. I also had a good homegrown hops crop this year. My Chinooks came in nicely, but not as good as the plant I gave to my Dad last year, We harvested two 5 gallon pails of hops from his plant. In all, I ended up with about 3 lbs. of dried hops. I will never be able to use all of them! 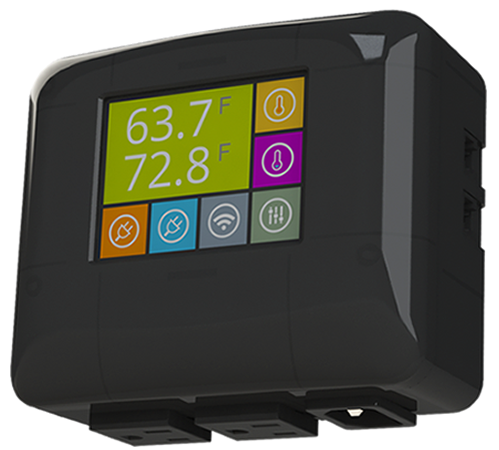 I am in the middle of trying out a new temperature controller as well for my fermentations. It is a BrewBit (www.brewbit.com) controller. I like it because it can accept 2 inputs and has 2 outputs. Therefore, I only need one piece of equipment to control my 2 fermentors at the same time. This is relevant since my brew days are always double brew days. I can also monitor the fermentations online or on my phone from anywhere which is nice. The touchscreen is a nice option as well. I like it, but I still need more time on it to make a true decision if it was worth it. Well, that's all for now, I'll try to be a little more attentive to the blog in the coming months. I hope everyone is well and happy holidays!